Winter in Avalon has a certain level of drama. 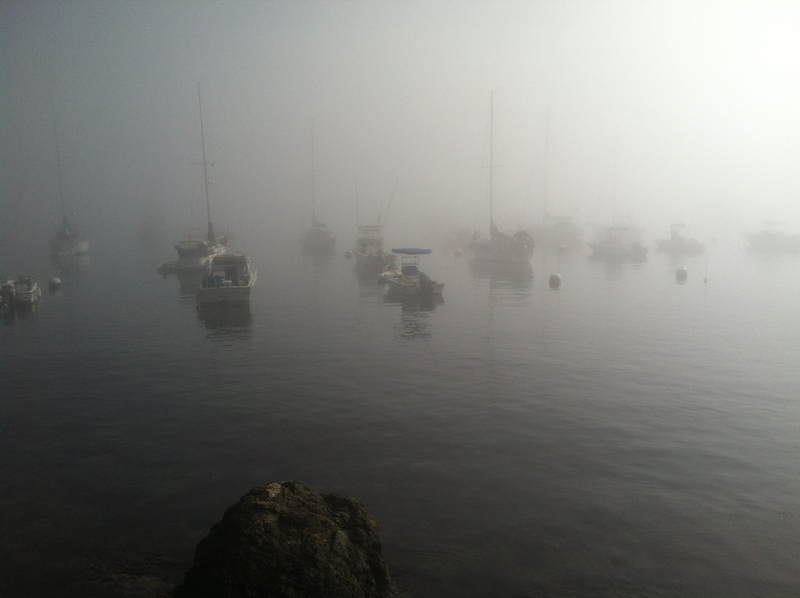 There are those days when you can’t find your boat in the fog. Or your thoughts either. And it seems as if the sun is struggling to burn it off. And then there are other mornings where the world feels like a big mango raspberry popsicle full of possibility and hope. I am sending out tentative roots on this rock. Nervous they won’t hold, nervous they will. This entry was posted on Friday, January 24th, 2014 at 9:54 pm and is filed under Cruising Life. You can feed this entry. You can leave a response, or trackback from your own site.